We all have areas of our bodies that still hold blocked stress released from life experiences that might seem irrelevant but could still remain and be manifesting in the body. 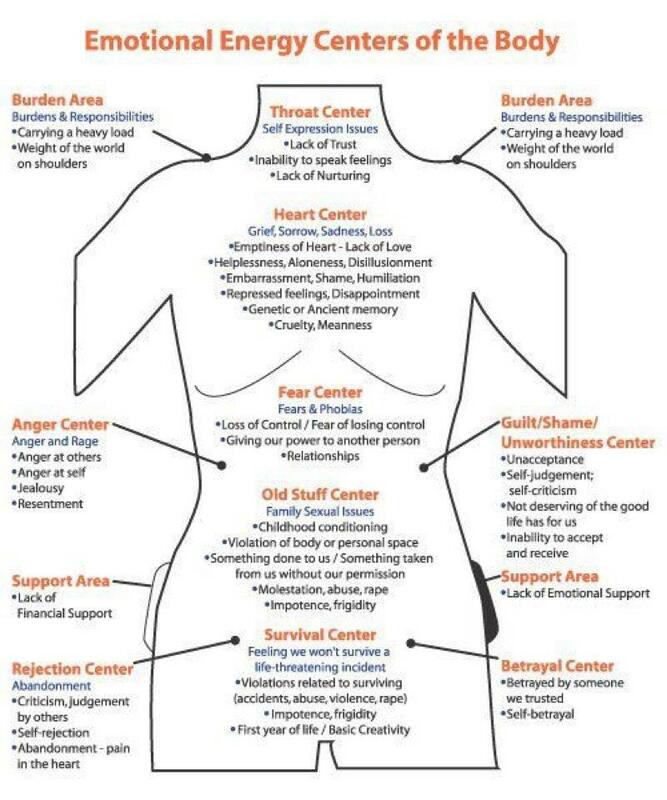 Use the chart from yesterdays blog or the Chakra System, to explore some possible areas and the emotions that might affect the body. For example bad self-confidence is very common, the thought of fear of the future without the faith in ourselves being able to deal with the obstacles that might occur later in life. And it can all have started by a well intentioned comment from a teacher, parent or sibling. 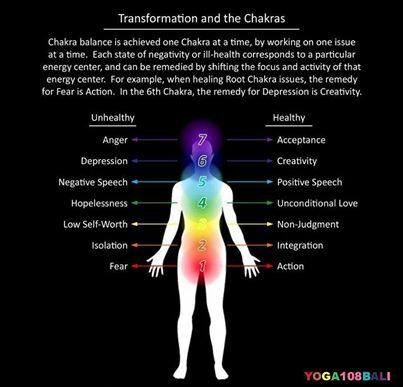 Those emotions might get blocked and finally manifest in the area of our body where the feeling manifest in our nerve ends, etc, the Chakras. This simple Chart can give you an indication. When you have pain, tightness or illness in certain areas, it’s often related to something emotional you are feeling within yourself in combination with a bad lifestyle habit. At first glance it may not seem this way because we are usually very out of touch with ourselves and our emotions in this fast paced world, but it’s often true. When we have chronic pains in our back, knees, neck, etc, we can spend a fortune going to physiotherapies and stop exercising. But not until we evolve as people and release the blockages in the non-mass us, we finally get rid of the pain. Think about it! When you’ve felt good in life the pain is less prominent in your body and when you’ve felt bad and stressed your pain came back. It wasn’t only exercise or anything in a physical sense that healed it, it was when we dealt with the emotions behind it. I know this from myself and many others because I spent years working with clients that spent time and money going to treatments for years. Here is another chart (sorry for the bad quality!) explaining the nervous system connection with the emotions. The more we allow mindfulness and stillness, address the unconscious thought pattern and emotions, the more the blockages loosen up and pain goes away. When we get sick or feel a lot of tightness and pain, our body is signalling to us to observe ourselves and find peace once again within ourselves and our environment. It’s all a learning and growing process we don’t have to judge nor fear. It’s worth trying! If you want to learn more we recommend the best seller “Anatomy of the Soul” by Caroline Myss. Next ›Enjoy Your Easter Holiday!